Since work had me in Danvers today, I decided to continue exploring the Ipswich River. 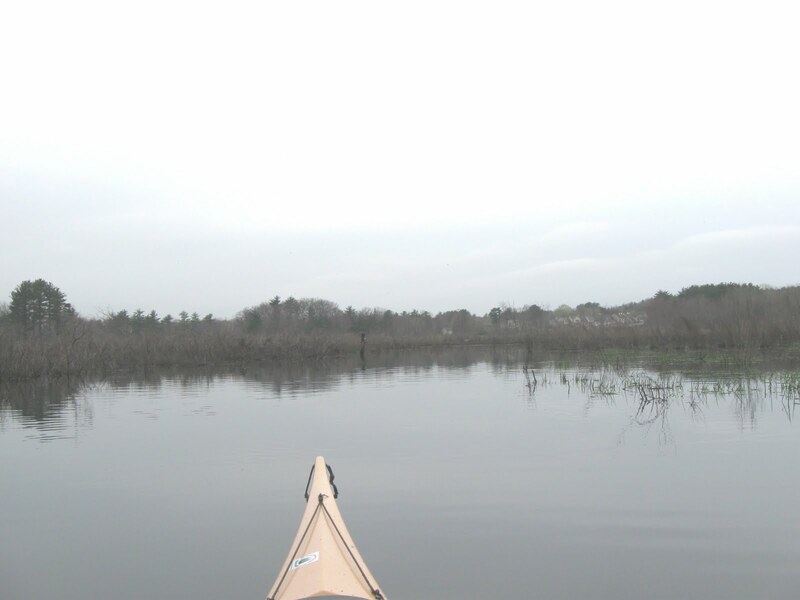 The West Street Canoe Landing is less than 5-minutes from where I was working and on this overcast afternoon, I had it all to myself. After launching into the river, I briefly headed downstream until I found the point where last Friday's exploration ended. Then I turned around and headed upriver avoiding as many obstacles as possible. The beavers, in these parts, are a determined bunch and eventually they will probably prevail in blocking the passage of most boats. 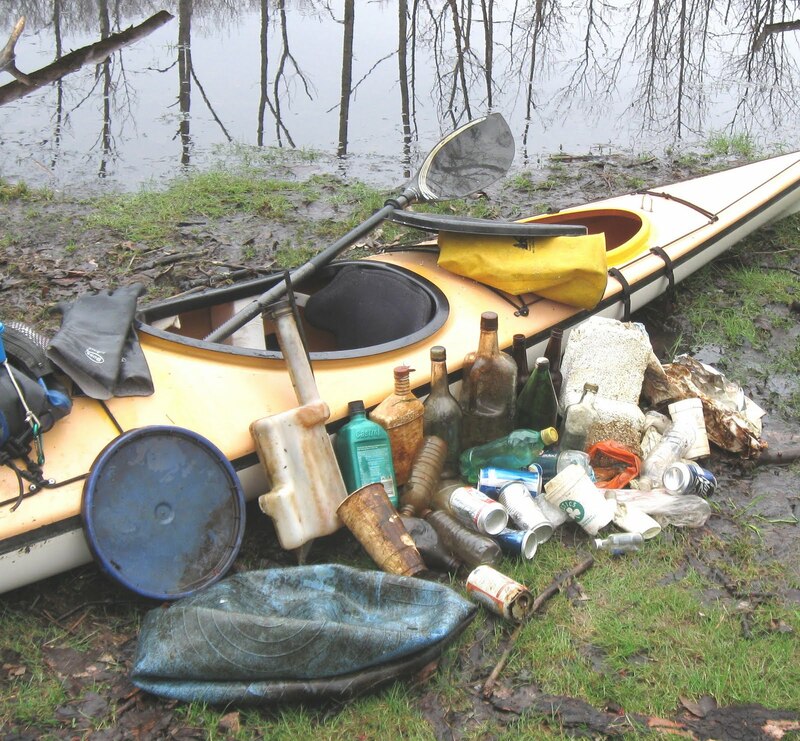 Approaching the point where the river passes under Route 114 trash became more plentiful. There were a couple of odd items today: a large deflated exercise ball and a plastic automotive radiator overflow/fill tank. Red-winged blackbirds were in abundance today. Also seen were mallards, Canada geese, and several musquashes. About 1/3 of a mile above Rt. 114, there is an expanse of open water (pictured at left) which seems fairly rare on this twisting/tree-filled river. This became my turnaround point and I headed back down to West Street. There isn't much of a riverbank at the landing and unbeknownst to me, while today's captured trash was disembarking from my boat, another group of passengers was busy stowing away. The result was 43 pieces of trash removed from the river along with 8 leeches attached to my boat's hull. Good thing I didn't go in for an after-paddle dip! There were 24 recyclable containers (7 redeemable) and 19 pieces of miscellaneous rubbish such as plastic bags, styrofoam, a pail cover, and the aforementioned exercise ball/plastic radiator tank. My YTD total stands at 2143.